Both black mold and asbestos are harmful to our health and there have even been asbestos lawsuits, because of its link to severe lung problems, including lung cancer. There has also been much press about black mold and its negative effects on health and it has been known to cause serious illness in some people. While the average person has heard of black mold and asbestos and the harm both can have on our health, the majority of people do not know the difference between them. Put simply, black mold is naturally occurring whilst asbestos is man-made. To figure out which is more toxic, one must first understand what exactly is black mold and asbestos. While they may cause similar illnesses, both toxic materials exude their own properties. Black mold, or as it is scientifically named, “Stachybotys Chartarum,” is a fungus which grows on varied materials in varying environments. There are literally hundreds of thousands of different types of mold. While typically black in colour, mold can also be found in a greenish or white colour. Black mold typically grows on cellular rich surfaces like dry wall, wallpaper, and wood. 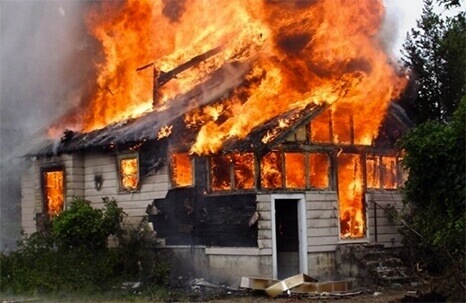 Asbestos is a fibrous material known for its ability to absorb high temperatures and as a result was used in many homes and structures as insulation. This insulation would typically be found surrounding pipes or as an insulator between walls. The trouble with asbestos starts when the fibrous crystals from which asbestos is composed of becomes dislodged, releasing toxic dust into the air. Breathing in asbestos fibres is extremely harmful and one of the main reasons why you should avoid disturbing any absestos. If you suspect you have asbestos in your home, contact Canada's Restoration Services today to book a free asbestos inspection. By inhaling asbestos fibres, the fibres become trapped in the lungs and leads to asbestos diseases. 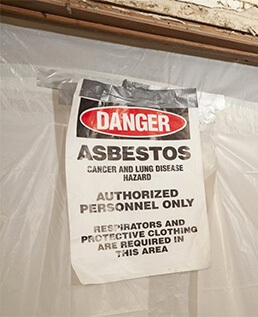 Asbestos is related to many diseases including asbestosis, lung cancer and mesothelioma. So, Which Is More Toxic? The answer to this question becomes clear when you look at the growth probability of both toxic substances. Asbestos was a highly used construction product found in many dwellings. However, since the ban of asbestos in the US during 1989, the compound and its 3000 products have almost completely been eradicated. No new structure since 1989 has or ever will be built with asbestos as an insulator. Unlike asbestos which one day will be totally removed from our planet, mold will be here to stay. Mold requires only naturally occurring conditions to strive. 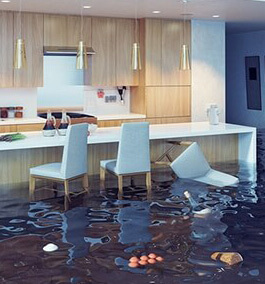 Humidity, moisture and damp darkness are only some of the conditions that lead to mold. Once the fungus has developed, it requires organic material to multiply, and this is abundant. Mold was around way before our time, and will be for long after. So, the eradication of mold from Earth will never happen. This is what makes black mold so dangerous to our health and wellness, and what makes it more toxic than asbestos. 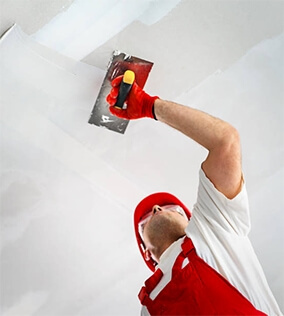 At Canada's Restoration Services, we specialize in both Black Mold Removal and Asbestos Removal. We have over 10 years of experience and have completed over 10,000 inspections and jobs nationwide. Our experts would be happy to answer any inquiries or questions you may have. We have asbestos in our attic that we weren't to concerned about because it wasn't being disturbed. We are now planning on putting an addition on to our home and recently we found out that we have mold growth in the attic as well. My husband has named it "the attic of shame". Thanks for posting this. My husband has booked an inspection with you for tomorrow!.